Georgia’s center-right opposition party United National Movement (UNM) announced its plans to hold a protest demonstration in Tbilisi on March 21. The party, founded by the former Georgian President Mikheil Saakashvili, will demand resignation of the government, according to local media reports. The leaders of the party decided to stage a public rally following the failure of the parliament to hold a special session on the economic situation in the country. UNM had earlier called for a special session to discuss poor performance of the economy and depreciated national currency Lari. The session did not take place due to a lack of quorum orchestrated by the lawmakers of the Georgian Dream parliamentary majority group. The Georgian Dream was founded by the billionaire and former Prime Minister Bidzina Ivanishvili, who came to power in October 2012 denouncing the policies of Mikheil Saakashvili. He resigned from the post in November 2013, naming Irakli Garibashvili, his long term ally, as his successor. Denouncing the boycott of the Georgian Dream majority in the parliament, UNM’s Executive Secretary, MP Zurab Japaridze, said that “the government and parliamentary majority acted completely irresponsibly and did not show up” which is the reason for expression of discontent from the opposition in a form of public protest. He stated that the economy was on the brink of collapse and depreciation of the national currency caused immense hardships to each and every Georgian family. The parliamentarian noted that the government was not acting on its promises and had no concrete plan to pull the country our of the crisis, and refused to debate alternative plans suggested by the opposition parties. 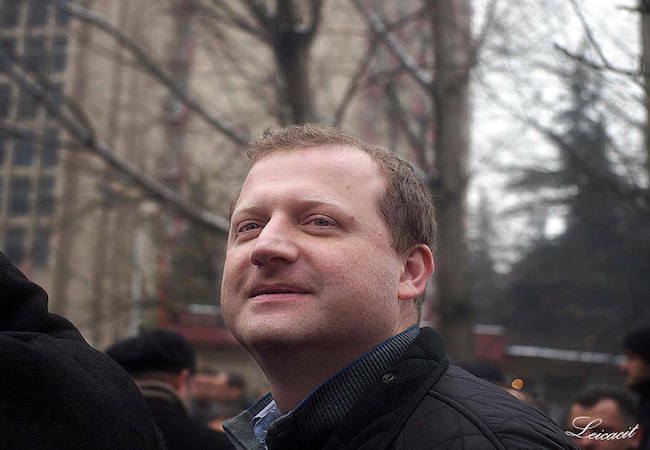 Japaridze called on the Georgian people to come out to the streets on March 21 to protest the carelessness of the government and demand its resignation. The rally will reportedly take place on Rustaveli Avenue in central part of Tbilisi.